Is this new material the answer? Registry data show Smith & Nephew Orthopaedics’ ceramicized metal/crosslinked polyethylene bearings have lowest hip revisions. Data from the Australian Orthopaedic Association’s National Joint Replacement Registry Annual Report shows that, at 5 years postoperative, hip replacement implants made from ceramicized metal heads which articulate against polyethylene-lined cups have superior survivorship compared to implants made from any other material, according to a Smith & Nephew Orthopaedics press release. OXINIUM Oxidized Zirconium and crosslinked polyethylene (XLPE), the materials in VERILAST Technology from Smith & Nephew Orthopaedics Division, comprise the overwhelming majority of ceramicized metal hip implants in the global orthopedic market, the company stated. VERILAST Technology is used in both hip and knee replacement implants. The Australian joint registry tracks virtually all joint replacements implanted in that country, and in the 2010 edition, the group reports on more than 150,000 hip replacements implanted between 1999 and 2009. The data show that implants using ceramicized metal technology, such as OXINIUM Oxidized Zirconium, in combination with polyethylene, remained successful in 97.9% of patients 5 years after surgery. Implants with bearings made from other materials had to be revised over the same period at higher rates. The survivorship rate for ceramicized metal bearings improved to 98.5% in the larger component sizes, and the performance gap between ceramicized metal bearings and other bearing materials widened, as well, according to the press release. Studying the performance of OXINIUM Oxidized Zirconium against other bearing surfaces in a large patient group is now possible because the 2010 edition of the patient registry marks the first time the Australian Orthopaedic Association has tracked “Ceramicized Metal/Polyethylene” as a distinct category of bearing surface materials. OXINIUM material is a metal alloy that undergoes a proprietary heating process, transforming its surface into a hard, smooth ceramic that is 4,900 times more resistant to scratching than the traditionally used metal alloy, cobalt chrome. The underlying alloy retains its original properties, giving the implant the strength of metal, but the improved wear performance of a ceramic. It is 20% lighter than cobalt chrome, and because it doesn’t contain detectable amounts of nickel like cobalt chrome does, it is considered hypoallergenic and safe for patients with metal allergies, Smith & Nephew reported. The company recently introduced VERILAST Technology, which is the combination of OXINIUM material and a unique crosslinked polyethylene formula. This bearing couple has been shown in laboratory tests to reduce hip implant wear by up to 98% when compared to cobalt chrome and conventional polyethylene, according to the press release. In April 2010, Smith & Nephew announced the results of an unprecedented laboratory test on the use of VERILAST Technology with its LEGION Primary Knee System, which showed that it is expected to provide performance for 30 years of typical physical activity. The results of this in-vitro wear simulation testing have not been proven to quantitatively predict clinical wear performance, the company said. Also, a reduction in total polyethylene wear volume alone may not result in an improved clinical outcome as wear particle size and morphology are also critical factors in the evaluation of the potential for wear mediated osteolysis and associated aseptic implant loosening. Particle size and morphology were not evaluated as part of the testing. The same test has not been performed on the use of VERILAST technology in hip replacements. A class action against the maker and distributor of faulty hip implants will return to the Federal Court in Sydney today. Twenty West Australians have registered in the action against DePuy Orthopaedics, a subsidiary of Johnson & Johnson. DePuy issued a worldwide recall of the product in 2010. Lawyer Ben Slade is representing patients who say the hip is to blame for severe and painful side effects, which some doctors and medical researchers attribute to metal poisoning. Mr Slade says there could be hundreds more West Australians eligible to take part in the class action. “Open class actions help all those people who suffered injury as a result of the defective hip implants and at some stage we just need to find them and then we can look after them,” he said. Mandurah resident Carolyn Thomson said she had to have her faulty DePuy hip implant replaced in February. “I had pain from the beginning it was put in and my doctor said it was normal, but I knew it wasn’t,” she said. Mrs Thomson is looking to join the class action. MORE than 100 South Australians with defective DePuy hip and knee implants will launch a class action. The Federal Court action against medical manufacturer DePuy Orthopaedics next month is the first in SA against the company, a subsidiary of Johnson & Johnson, which is already facing multi-million dollar lawsuits involving the implants in NSW, the US and UK. The victims have suffered various health problems after their metal-on-metal implants started degrading, resulting in high levels of cobalt and chromium in their blood or pain and severe inflammation from metal particles in tissue around their implant. The implants were recalled by the company in 2008 but not before more than 6000 people had them used in their hip or knee replacement operations. Duncan Basheer Hannon lawyer Peter Humphries said many of the victims had already undergone replacement surgery – which has been paid for by the company – to remove the faulty orthopaedics. “In many of the cases the victims have suffered tremendously after having their surgery, in most instances to repair their hip joints,” he said. “The effects have been variable with some having revisions surgery to replace the faulty implants while others are still experiencing problems ranging from inflammation in the hip caused by the metal particles floating around in there. Mr Humphries said the class action would rely on state legislation involving consumer protection and the Fair Trading Act that does not have the same restrictions as federal consumer protection legislation. 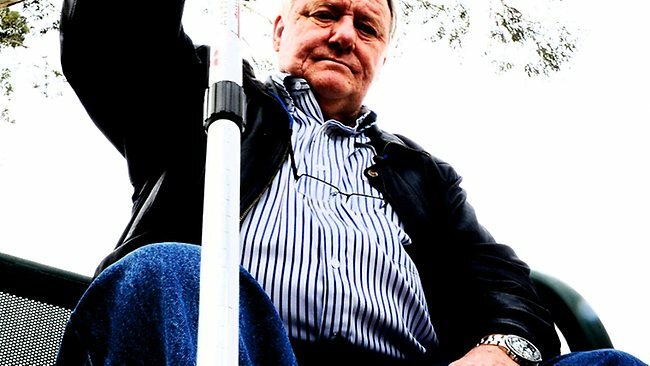 One of those involved in the class action, Bob Perry, 67, of Banksia Park, said he had been in constant pain since having both hips replaced in late 2007. His operations were conducted at Sportsmed SA by surgeon Dr Roger Oakeshott, who also helped design the faulty implants. Mr Perry said his lifestyle had been severely impacted since the operations and he was forced to use painkillers each day. He said he only recently learnt there had already been complaints about the implants before his two operations in 2007, which had distressed him. AFTER a hip replacement, Anne Joyce was told she would be back to her active self just six weeks later. Five years, three hip replacements and a class action later, the Port Lincoln mother-of-two says she’s finally on the road to recovery. Mrs Joyce, in her early 50s , is one of 47 South Australians involved in a class action against DePuy Orthopedics. The company is allegedly responsible for the numerous patients who have had toxic metals leak into their bloodstream because of the degradation of its implants. Mrs Joyce had her first hip replacement in June 2006 and her second in early 2008, the implant “debonding all this time”. “Then in January 2010 I saw my orthopaedic surgeon again and he said I had an infection,” Mrs Joyce said. 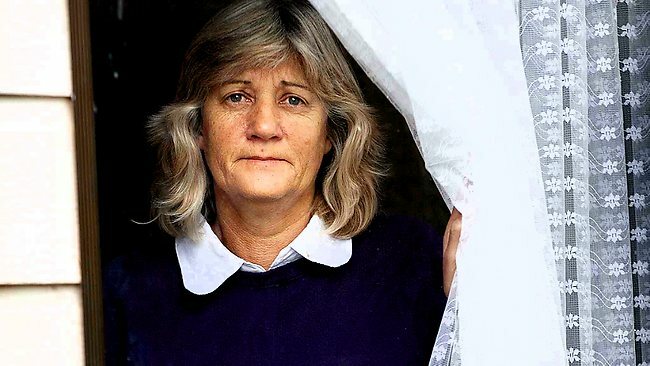 Mrs Joyce said while she is recovering slowly, she is angry her pain has been echoed throughout Australia. AN orthopaedic surgeon has said recipients of metal-on-metal hips may be suffering from blood poisoning. Dozens of South Australians are among hip replacement patients who have had toxic metals leak into their bloodstream as a result of the degradation of DePuy Orthopaedics implants, The Advertiser revealed in February. The implants were recalled globally last year and there have since been many cases reported in which patients recorded high levels of cobalt and chromium in their blood. Orthopaedic surgeon Professor Ross Crawford said many more cases of blood poisoning may be undiscovered because generally only patients suffering side effects directly linked to their hip had sought medical help. 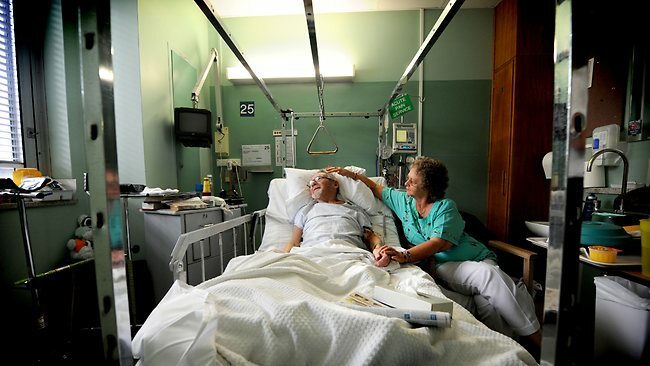 “The people that I speak to now that have had hip replacements that have come to revision, in retrospect they all had symptoms that I think are consistent with cobalt poisoning,” Dr Crawford told the ABC’s Four Corners program. Up to 6500 Australians had the surgery before the recall. About 14 per cent of those who received a conventional hip replacement have required revision surgery, along with 11 per cent who had hip resurfacing surgery. Dr Crawford said that could be just the tip of the iceberg, with many devices possibly still causing blood poisoning. “If the systematic complications of metal on metal ions are causing enough problems elsewhere we may have to make some very hard decisions,” he said. The Advertiser revealed last year that DePuy, a Johnson & Johnson subsidiary, was facing class actions in the UK and US over the implants. Class actions have since been planned in Australia, with Adelaide law firms Duncan Basheer Hannon and Lempriere Abbott McLeod representing people. Adelaide surgeon Dr Roger Oakeshott was on the team that designed the faulty implants. He retired from Sportsmed SA, is now the team doctor for the Adelaide Thunderbirds. UK-based bioengineer Dr Tom Joyce told Four Corners the DePuy hip scandal was “perhaps the biggest disaster in the world of orthopaedics”. Tammy Stanford is a 40 year old teacher and mother of two. She is also the lead plaintiff in the DePuy hip recall lawsuit recently filed in Australia. The lawsuit is a class action, filed on behalf individuals who received the now recalled metal-on-metal hip replacement from DePuy Orthopedics. According to Australia’s public broadcaster ABC, five thousand Australians had the DePuy ASR hip implanted between 2003 and 2009. Stanford had hers implanted in 2005. Like many other ASR hip recipients, Stanford required a hip revision surgery well short of the 15 years her device was expected to last. Just 6 years after receiving her hip, the metal-on-metal components of the hip had degenerated to the point of causing hip tissue inflammation and excruciating pain. Stanford’s surgeon described a “black tar, gunky substance” that had to be scraped out of the hip socket during the revision procedure. To this day, Stanford suffers from those haunting images, is unable to walk without crutches, and incapable of teaching classes. Unfortunately, her story is a typical example of the thousands who may potentially join the DePuy class action lawsuit in Australia, or who file other similar claims worldwide. In 2008- a full year before DePuy announced they intended to stop actively selling the product and a full 2 years before additional warnings were provided to doctors regarding high failure rates- Australian registry information revealed convincing evidence that the DePuy ASR hips had higher than expected rates of failure. In 2009, DePuy announced that slow sales of the ASR XL Acetabular hip system and ASR Hip Resurfacing System was the reason behind a sudden decision to phase out the product. In March of 2009, the first US based lawsuit was filed against DePuy in response to a faulty ASR implant. One year later, in March 2010, DePuy [finally] provided doctors with a warning that the implants could have a higher than normal failure rate. The ASR Hip Resurfacing System and ASR XL Acetabular hip system were recalled in August of 2010. In February, 2011 a DePuy hip class action lawsuit is announced on behalf of Australian patients who currently have or have had removed- the now recalled hip implants. Tammy Stanford is not alone in her suffering. Approximately 93,000 DePuy hips have been implanted worldwide. Studies have shown a failure rate between 12 and 13% for the devices within 5 years of implantation. Many medical experts speculate that the rate may prove to be even higher than that already alarming statistic, bringing an even greater number of lawsuits into courthouses all over the world. Class action lawsuits have also been filed against DePuy in Canada and the United Kingdom. Lawsuits filed in the U.S. against DePuy Orthopedics have been consolidated in MultiDistrict Litigation pursuant to a ruling filed in late 2010. While no lawsuits have been filed in Ireland, there are approximately 400 ASR recipients in Ireland affected by the recall with the option to file class action or individual suits against DePuy. “We are committed to assisting patients and healthcare providers by providing information through multiple channels and paying for the cost of doctor visits, tests and procedures associated with the recall,” David Floyd, president of DePuy Orthopaedics in Warsaw, Ind., said in a statement. That includes monitoring of how well a patient’s hip is working and paying for any corrective surgery. Products still on hospitals shelves will be removed, said DePuy spokeswoman Lorie Gawreluk. Each of the metal systems is used to replace a worn or weakened part of the hip, which consists of a socket at the outer edge of the pelvis and a rounded bone atop the thigh bone that fits into that socket like a ball. Total hip replacement involves replacing both parts at once. The ASR Hip Resurfacing System replaces the ball portion of the hip and has a metal stem that fits into the top of the hip bone, or femur. The ASR XL Acetabular System is a concave metal piece used to provide a smooth lining for the acetabulum, the bowl-shaped socket in the pelvis. DePuy, part of Johnson & Johnson of New Brunswick, N.J., said data it received from the National Joint Registry of England and Wales shows that within five years, about 12 percent of people getting the hip resurfacing system and about 13 percent of those getting the acetabular system needed corrective surgery. Women were more likely to need a second surgery than men. Gawreluk said she did not have the actual numbers of patients with problems. The acetabular system, launched in 2004, has been sold worldwide. The resurfacing system, introduced in 2003, is only sold outside the U.S.
DePuy decided last fall to discontinue both, Gawreluk said. The company is working on developing a new generation of both products. On Tuesday, the Food and Drug Administration told DePuy to stop selling its Corail Hip System for two unapproved uses. It also ordered the company to provide information needed to review another product the agency said DePuy has been selling even though it was never approved. It’s called the TruMatch Personalized Solution System, and uses software and high-tech CT scanning technology to create a 3-D view of a patient’s knee to help a surgeon position a knee implant. On Monday, Johnson & Johnson recalled millions of 1 Day Acuvue TruEye contact lenses sold in Asia and Europe because some users complained of stinging or pain when they inserted the lenses. Johnson & Johnson remains under scrutiny by the FDA, Congress and federal prosecutors over eight previous U.S. recalls of nonprescription medicines since last September. Those included millions of bottles of Tylenol, other pain relievers and cold medicines for children and adults, for problems including bacterial contamination and tiny metal savings found in some bottles. In midday trading, J&J shares rose 2 cents to $58. Read key correspondence, reports and related news on the DePuy ASR Hip. Also includes important information for concerned patients. Expert Advisory Group report: soft tissue reactions associated with MoM hip replacements | MHRA UK | October 2010 An Expert Advisory Group (EAG) involving members of the British Hip Society (BHS), the British Orthopaedic Association (BOA), the Medicines and Healthcare products Regulatory Agency (MHRA), and the National Joint Registry of England and Wales (NJR) was set up to: determine the incidence of this problem; and advise clinicians on any modifications to current practice which may be necessary to minimise the risk of this adverse reaction and optimise early detection. Download the report. Metal Sensitivity in Patients with Orthopaedic Implants | The Journal of Bone and Joint Surgery (2001) All metals in contact with biological systems undergo corrosion. This electrochemical process leads to the formation of metal ions, which may activate the immune system by forming complexes with endogenous proteins. Authors: Nadim Hallab, PhD, Katharine Merritt, PhD and Joshua J. Jacobs, MD. Patients reveal agony of toxic hip implants | ABC News | 16 May 2011 A medical scandal that has resulted in hundreds of patients being poisoned and seriously disabled may soon lead to changes in the way medical devices are approved for use in Australia. By Quentin McDermott and Karen Michelmore. Hip Makers Told to Study More Data | New York Times | 10 May 2011 In an unusual move, the Food and Drug Administration has ordered all producers of a popular category of artificial hip to undertake studies of the implants, which have been linked to high early failure rates and severe health effects in some patients. Under the order, producers of “metal-on-metal” hips will have to conduct studies of patients who received the device to determine, among other things, whether the implants are shedding high levels of metallic debris. Some patients have encountered that problem, including soft tissue damage that has disabled them. Hip surgery ruins lives | SMH | 13 March 2011 Jacqueline Gray enjoyed dancing, had a passion for surf lifesaving and did her own shopping. Now the 53-year-old, who lives near the beach on the NSW mid-north coast, has lost her hair, is unable to walk without help and lives in excruciating pain… Mrs Gray, who has joined the class action, is unable to get around without help despite numerous surgical procedures. She takes painkillers daily and has lost her hair due to the level of chromium in her body. With Warning, a Hip Device Is Withdrawn | New York Times | 9 March 2010 A unit of Johnson & Johnson, just months after saying it was phasing out an artificial hip implant because of slowing sales, has warned doctors that the device appears to have a high early failure rate in some patients. The action by the company, DePuy Orthopaedics, follows more than two years of reports that the hip implant, which is known as the ASR, was failing in patients only a few years after implant, requiring costly and painful replacement operations. Concerns Over ‘Metal on Metal’ Hip Implants | New York Times | 3 March 2010 Some of the nation’s leading orthopedic surgeons have reduced or stopped use of a popular category of artificial hips amid concerns that the devices are causing severe tissue and bone damage in some patients, often requiring replacement surgery within a year or two. In recent years, such devices, known as “metal on metal” implants, have been used in about one-third of the approximately 250,000 hip replacements performed annually in this country. They are used in conventional hip replacements and in a popular alternative procedure known as resurfacing. Tasmanian leads hip class action | ABC News | 28 February 2011 A Tasmanian woman is leading a class action against a UK producer of faulty hip implants. Two DePuy International Limited implants have been found to cause painful soft tissue damage, which reduces the likelihood of a successful second replacement. 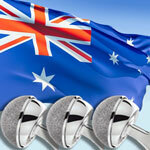 5,000 Australians had the DePuy ASR prosthetic hips implanted between 2003 and 2009. Australian joins US class action over hip implant | ABC News | 16 September 2010 A Brisbane grandfather joins US legal action against pharmaceutical giant Johnson and Johnson after receiving what his doctor says is a faulty hip replacement. Video. Artificial knee gone wrong | ABC Health Report | 4 October 2010 An Australian doctor had his knee replaced in 2007 and has had many problems with the replacement since. He found out later that the device used, a DePuy duofix knee femoral component, has been recalled by the company. Apparently a proportion of the devices allow alumina particles to enter the joint, act like carborundum, and invade the joint lining causing inflammation. Transcript. Hip replacement device withdrawn | ABC Health Report | 30 August 2010 A major manufacturer of medical devices, a company called DePuy, announced the withdrawal from the marked of one of their hip replacement (or prothesis) systems, called the ASR. Read program transcript. Johnson & Johnson Recalls Hip Implants | New York Times | 26 August 2010 More than two years after the Food and Drug Administration began receiving complaints about the failure of a hip replacement implant made by the DePuy Orthopaedics unit of Johnson & Johnson, the company said Thursday that it was recalling two kinds of hip implants. Hip and knee replacement surgery | ABC Health Report | 16 October 2006 A Canadian study looked at the predictors of undergoing joint replacement surgery among patients with severe osteoarthritis. And a report from the National Joint Replacement Registry in Australia claims that new artificial joints which have been approved over recent years have not been delivering value for money. Transcript. The Quality of Artificial Hips and Knees | ABC Health Report | 21 Nov 2005 Tens of thousands of people have hip and knee replacements every year – and they’re getting younger and younger. But how do you know that the artificial joint the surgeon wants to use in you is up to the job? An Australian survey has found several which aren’t and the result is unnecessary repeat operations which cost millions each year, and delayed operations due to long waiting lists. Read more. Joined at the Hip Club – Hip Replacement, a personal experience | ABC Health Report | 3 November 2003 In Australia around 30,000 people have hip replacements every year. Documentary film maker Aviva Ziegler is one of them. In this program Aviva takes us on her own personal hip replacement journey. Documented over a period of more than 6 months, she shares her experiences. We learn about her pain, not only in her hip, but in her decision to do something about it. Aviva takes us along before, during and after surgery. Read transcript. Medical Devices and Technology | Department of Industry What is a medical device or technology? A definition from the Department of Industry. FDA’s Medical Device Review Scrutinized at Senate Hearing | US Senate Hearings | 13 April 2011 Internal reviews by FDA officials and other outside sources have found troubling lapses in the procedures by which a number of medical devices were approved… The hearing highlighted the story of Ms. Katie Korgaokar, a Denver resident who received a DePuy ASR hip implant to treat a congenital condition called Perthes disease. In 2010, the DePuy hip was recalled and Korgaokar endured a second hip-replacement surgery in early 2011. Korgaokar was one of 96,000 patients affected by the DePuy hip recall. Read more. Poor outcome of revised resurfacing hip arthroplasty | 2009 BACKGROUND AND PURPOSE: Recent years have seen a rapid increase in the use of resurfacing hip arthroplasty despite the lack of literature on the long-term outcome. In particular, there is little evidence regarding the outcome of revisions of primary resurfacing. The purpose of this analysis was to examine the survivorship of primary resurfacing hip arthroplasties that have been revised. Authors: Richard N de Steiger; Lisa N Miller; Gareth H Prosser; Stephen E Graves; David C Davidson; Tyman E Stanford. There isn’t enough time or room on the page to tell you my story…. However I wanted to say that you are not alone . I am about to undergo my 11th surgery since having my 2003 bilateral Birmingham hi resurfacings. It’s been hell and its not over yet. I was a fit and healthy fun loving40yr old when this all started and I have just had my 50th birthday minus the fit and healthy bit….and sadly minus my fun loving spirit. I totally understand your grief. That is bad beyond any words I can find. When you feel like it, your story should be told. There are many others out there like you, but not as bad. No you are not alone, I was only 32 when I had my Birmingham Hip Resurfacing in September 2000. In Feb 2012 I finally gave into the pain and went to seek help. 10 Months later and a change in orthopaedic surgeon and I had a Revision. Funny name they use for it I think! Anyway, now 15 months later after me telling them that something was wrong all along I am about to go back in for another surgery to replace the Acetabular Cup. Not impressed is an understatement, my pain levels are through the roof and no one wants to take responsibility. To add insult to injury there are no discounts, I’ve been told that I have to pay the gaps and that’s it! Good Luck guys and pity we are all in this situation.